Safety first – scared horses and safety don’t tend to go hand in hand, so be very aware of this when handling your horse on late evenings around bonfire night. Wearing a riding hat, gloves and sturdy shoes is a must. If you can, try and ensure all the jobs that require you to be involved with your horse are done and dusted before it gets dark to help avoid any problems. Plan – you can’t find out when every firework is being set off in a five mile radius, but you should be able to find out when big displays are happening. Distraction – the radio can provide a welcome distraction for your horse, so get one in the stables and have it playing during displays. Of course, you’ll need to make sure you select an appropriate radio station – something calming and classical might be a good option! Horses can be stabled or left out during bonfire night – it’s best to stick with what they’re used to as changing their routine can cause anxiety issues anyway, let alone when this is combined with fireworks! Arrange something at the stables – if you know there’s going to be a display just around the corner from you, why not arrange a gathering of horsey friends at the stables? You’ll provide a distraction for the horses and can keep an eye on what’s going on. 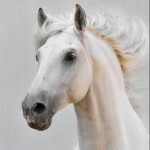 Consider calmers – if your horse gets very anxious about fireworks and can be a danger to himself, consider using calming supplements, whether these are added each day to feed, or the paste kind (like Serenity Calm Down) that can be given an hour or two before the stressful/exciting activity. 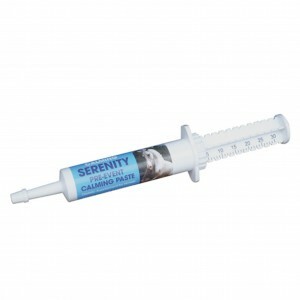 Have a look at our calming range here. Keep him busy – make sure he has a good supply of hay and/or a toy that will keep his mind occupied. It won’t mean he can’t hear the noises, but it’ll give him something else to focus on. Keep calm – bonfire night can be a stressful time for owners too, but do your best to keep calm as your horse will pick up on your worry and concern and it’ll add to his.